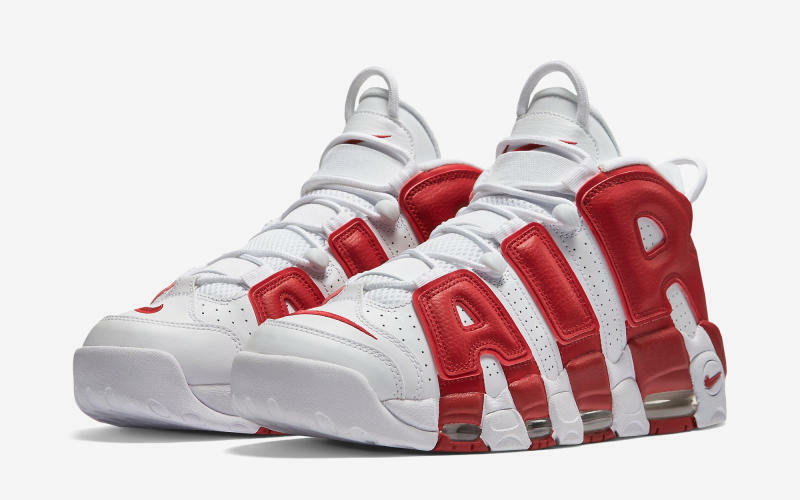 Official images have been released for Nike’s 20th anniversary celebration of the Nike Air More Uptempo. 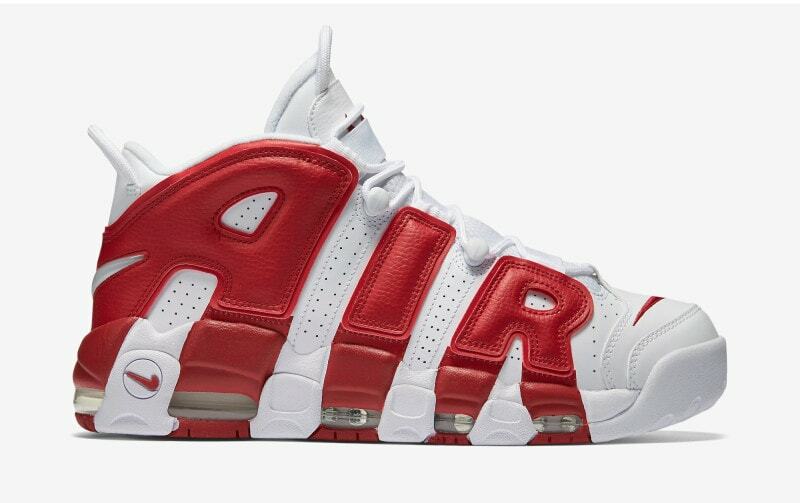 This unofficial Scottie Pippen signature shoe features a classic Chicago Bulls look with a white/varsity red colorway. 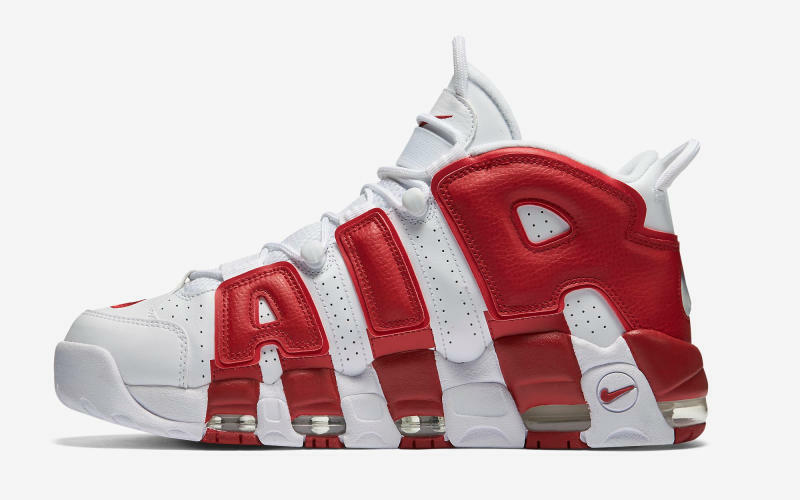 This red/white Nike Air More Uptempo will follow the recent drop of the black/white colorway. 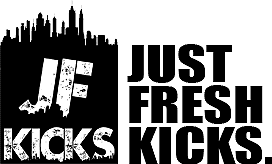 Although a release date has yet to be confirmed, we expect a drop sometime this spring. 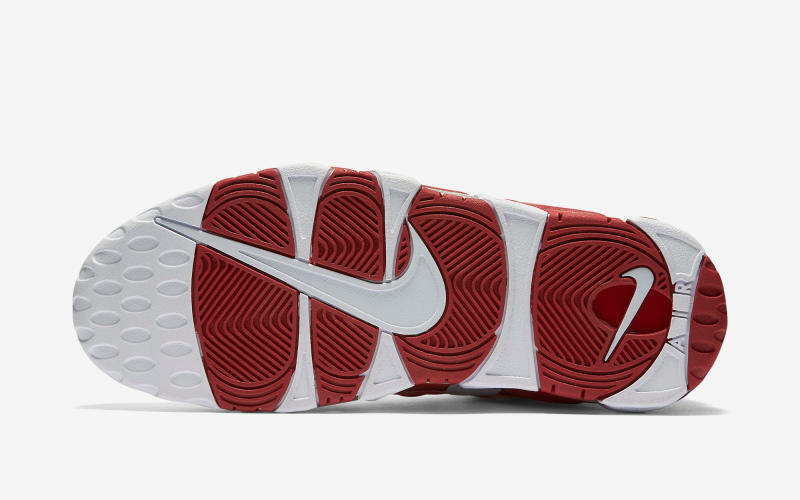 The shoes feature a white leather upper with vibrant varsity red Nike ‘Air’ branding accents throughout. 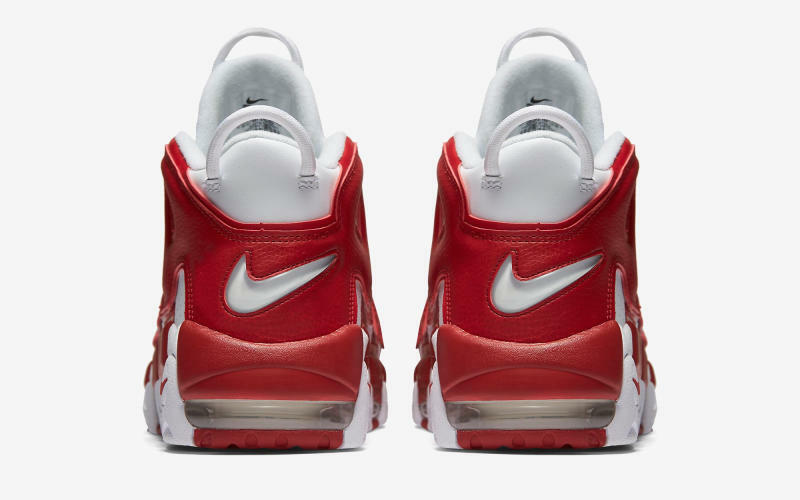 Continue below for more images of the latest Uptempo and follow us here for additional updates as they surface.